Second Gear is Asheville’s answer for affordable outdoor gear and clothing. 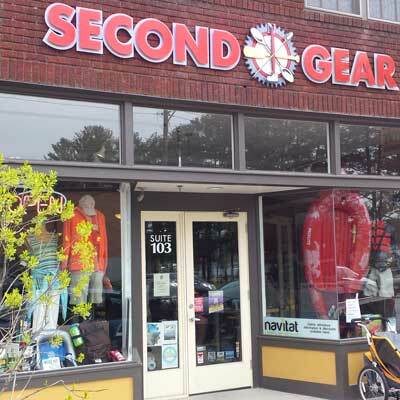 With a location in the historic Mardis Building on Haywood Road in West Asheville, Second Gear has specialized in selling used gear since 2004. They also regularly receive dealer samples from outdoor gear reps, featuring brands such as Royal Robbins, ExOfficio, Outdoor Research, Marmot, Woolrich, Keen, Vasque and Teva. Along with consigned gear, Second Gear also carries a selection of new items including guidebooks, regional maps, camping accessories, Innova disc golf equipment, cycling accessories, ENO hammocks and climbing gear. Second Gear has grown steadily since opening in April 2004. Within that time period 7,000 consignors have sold over hundreds of thousands of items through Second Gear, with a resulting two million dollars in consignment fees paid out to mostly local and regional residents. Second Gear has been located at 444 Haywood Road since May 2008. The building housed Ace Appliance from the early 1970s until late 2008. In July 2014 a historic renovation of the Mardis Building, was completed.